Incorporate.com Annual Report Filing Review A Worthwhile Investment? Incorporate.com Annual Report Filing Review: A Worthwhile Investment? Do you need to file an annual report to stay compliant with your state, but you don’t want to be hassled with the DIY option? Incorporate.com is one of many services that can handle your annual report, but how do you figure out which one is best for you? To complement your own research, my team and I reviewed the major common points and differences between the popular annual report services. This Incorporate.com annual report filing service review highlights their pros and cons, pricing and features, customer feedback and more! The main thing I like is that Incorporate.com handles some steps that other annual report filing services leave for you to deal with on your own. They track your filing deadlines, and they also maintain your compliance history on their website. This feature alone can save you a lot of energy and hassle over the course of the year. Is experience important to you? Incorporate.com (formerly The Company Corporation) has served over 750,000 customers since they opened in 1899. That’s not a typo, they’ve seriously been around since the 19th century. Their annual report service isn’t cheap. Incorporate.com charges $150 plus state fee, which is much more expensive than some competitors. For example, LegalZoom can file your annual report for $35. You can’t order annual report service from Incorporate.com online. Instead, you’ll need to call them to place your order. It’s not really a big deal, but it is a bit of a hassle. Customer feedback is not a strength for Incorporate.com. They only have a few dozen reviews available online, and most of them are not positive. 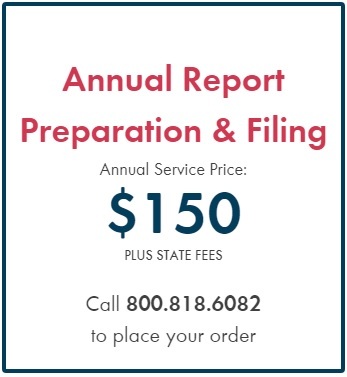 With Incorporate.com, you’ll pay $150 plus state fee for annual report service. As I mentioned earlier, you can’t order this service online, but it’s not the end of the world to make a phone call every once in awhile. Keep in mind that this service is a subscription, so if you don’t want them to handle your annual report next year, you’ll need to cancel at least 60 days in advance of your next due date. Filing an annual report with Incorporate.com is straightforward. Because they take care of every step for you, the only thing you need to do is give them some basic company info and they’ll do the rest. Once you’ve done that, you can pretty much sit back and relax. While not all companies need such a complete service, it is undeniably convenient. You can save some cash by tracking your own filing deadlines or keeping your own compliance calendar, or you can sign up with Incorporate.com and let them deal with these logistics. In general, I think Incorporate.com’s annual report service is good for super-busy entrepreneurs, especially if you do business in multiple states. I doubt Incorporate.com is earning anyone’s business based on customer reviews. Even though they’ve been around for well over a century, there are very few reviews available, and most of those aren’t exactly high praise. From what I can see, most of their unsatisfied customers have issues with inconsistent communication, and also some billing confusion. Conclusion: Would I like to see more positive reviews? Sure, of course. However, I don’t see feedback as a major strike against Incorporate.com either, because a few dozen critical reviews represent such a small portion of their total customer base. After reviewing all the major annual report filing services, I’ve developed some personal favorites. Still, my goal isn’t to talk you into using the service I prefer, but rather to decide if Incorporate.com is right for you. Incorporate.com is a good annual report service, but it’s always smart to know what their competitors are offering. With that in mind, let’s take a look at how they stack up next to LegalZoom, another popular service. 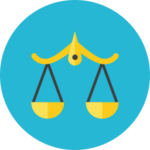 Pricing: Compared to Incorporate.com’s $150 price, LegalZoom’s $35 rate is very affordable. Features: LegalZoom only takes care of the basic filing aspect of annual reports. Unlike with Incorporate.com, you’ll need to track your own deadlines, and they also don’t keep records of your compliance history. Long story short, LegalZoom is best if you just need a simple report filed. Incorporate.com is best if you need multi-state filings, you’re in a specialized field with additional requirements, etc. 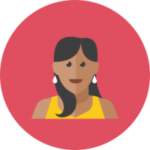 Customer Support: One advantage to LegalZoom is their customer service availability, as they have the longest hours in this industry. You can contact them from 8am to 10pm ET Monday through Friday, and they’re even available on weekends from 10am to 8pm ET. Other than that, I don’t see much difference between these two companies when it comes to support. After testing them out, I’d give both of these companies a 3/5. Experience: Incorporate.com’s longevity is untouchable, as they’ve served 750,000+ customers since 1899. LegalZoom has them beat when it comes to customer volume though, as they’ve helped nearly 4 million customers since opening in 1999. It’s an option, but not the most appealing one in my opinion. With the DIY route, you’ll need to track your due dates. Hiring a company like Incorporate.com alleviates the need and leaves you with more time/capacity to run your business. If you cancel your order before they submit your report, they’ll refund your money minus a service fee. However, if you try to get a refund after they’ve filed your annual report, “we will use our discretion to determine what portion of the fee, if any, will be refunded.” In short, you should probably make sure you really need their services before making a purchase. Absolutely. With McAfee Secure protecting their website, Incorporate.com is safe from malware and other vulnerabilities. They also encrypt data transfers, so your private info is protected. Does Incorporate.com Offer Ongoing Support? Yup! If you purchase an annual report subscription from Incorporate.com, you can contact them at any time to get your questions answered. It doesn’t matter when your due date is — according to their website, they’ll do everything they can to help you. When it comes to their annual report filing, Incorporate.com earns a score of 4.3/5 in my book. Their longevity as a company is really impressive, and they handle the entire annual report process for you every year. Whether you’re ready to get started with Incorporate.com or you need some time to review our comparison of the top annual report services, use the buttons below!